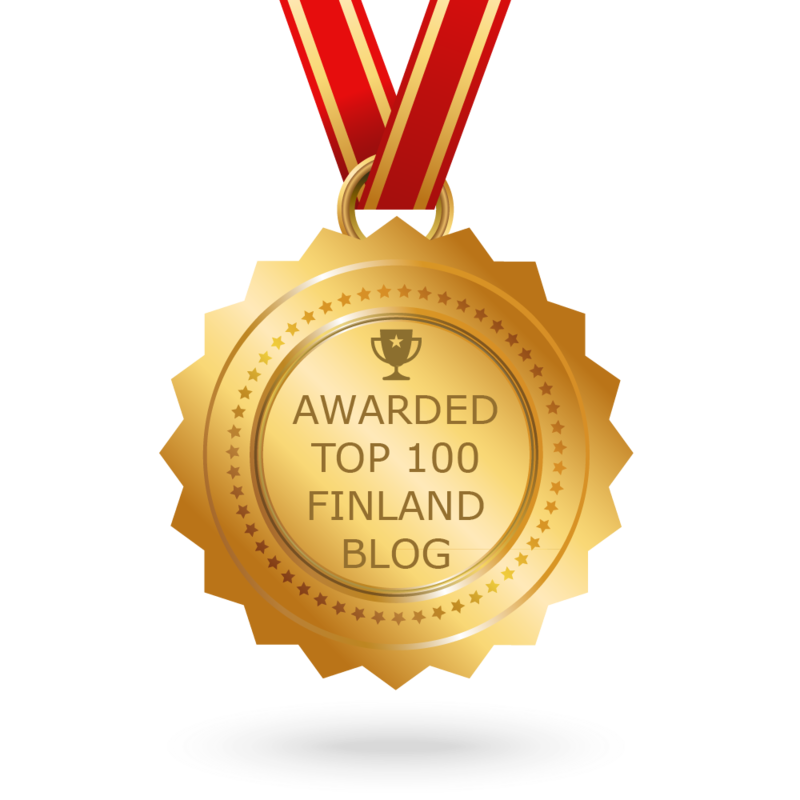 The Best Finland Blogs from thousands of Finland blogs on the web using search and social metrics. Subscribe to these websites because they are actively working to educate, inspire, and empower their readers with frequent updates and high-quality information. Also check out Finland Youtube Channels. 2.20 News from Finland - "Helsinki Times"
2.37 naaG | Men's Fashion and Lifestyle Blog. Finland newsletter is a comprehensive summary of the day's most important blog posts and news articles from the best Finland websites on the web, and delivered to your email inbox each morning. To subscribe, simply provide us with your email address. Facebook fans 4,950. Twitter followers 627. Facebook fans 535. Twitter followers 287. Facebook fans 1,022. Twitter followers 394. Croatia, Finland About Blog This is a Fashion, beauty, travel, and lifestyle written thoughts of a 19-year old blogger. Their mission is to bring inspiration to their readers from different subjects including fashion, beauty, lifestyle and more. Facebook fans 298. Twitter followers 1,150. Finland About Blog My name is Anna, and I'm the founder of this blog I decided to name Arctic Vanilla. This is a Finnish Fashion and Lifestyle Blog. Facebook fans 202. Twitter followers 87. 20. News from Finland - "Helsinki Times"
Facebook fans 731,625. Twitter followers 469. Finland About Blog The Nordic Fit is a blog that showcases men's fashion with a flair of Finnish style to it. The blog has moved from more casual sport coat looks into a more serious and classic business-inspired content. Finland About Blog Hi, I'm Laura! Laurantaina Beauty Blog is about high end make up, skincare and Japanese brushes. After moving back from Japan in 2014 I struggled a lot with my skin and I wanted an outlet to share my experiences, as well as my love for Japanese and other amazing beauty products. Finland. About Blog Mrs. Karppinen is a fine art photographer, lifestyle and fashion blogger with a never ending travel wanderlust bug that always keeps her "on the run". 37. naaG | Men's Fashion and Lifestyle Blog. Helsinki, Finland About Blog This blog focuses on Men's Fashion and Lifestyle and keeps you updated with the latest trends in fashion and beauty. Facebook fans 7,528. Twitter followers 2,541.
helsinki About Blog Vanelja offers new inspiration for wholesome food and healthy treats. It's a love letter to the charm of life, natural food and fresh flavors. Recipes focus on pure and natural ingredients, favoring only gluten free, dairy free and refined sugar free dishes. Facebook fans 4,240. Twitter followers n/a. Facebook fans 1,027. Twitter followers 1,673. Facebook fans 1,566. Twitter followers 177. Finland About Blog You can expect articles about Helsinki and Elena's life in Finland: places to go, things to see, Finnish food, culture, language, and lots more. Finland About Blog This blog focuses on Finland's history and war scenes and describes the culture of Finland. Facebook fans 89. Twitter followers 442. Facebook fans 414. Twitter followers 1,167. About Blog Vedapulse is a new scientific innovation to facilitate the work of many different alternative care providers. I Kari Nokela I represent Vedapulse in Finland. Facebook fans 461. Twitter followers 913. Finland About Blog A blog about hiking in Finland. Pondering Finnish hiking culture compared to other countries. Tales about day hikes with children, weekend hikes, week long treks, and months long expeditions in Finland. Best destinations, skills needed, every season covered etc. Joensuu, Finland About Blog We love Finland! If you come here, you'll love it too! Experience the fresh air, clean lakes, the tranquillity and the beauty of the Finnish countryside. Or seek thrills and spills in exotic Lapland's snowtastic ski resorts! Espoo About Blog Originally started as observations about various curiosities about living in Finland in comparison to the author's native Canada (northern Ontario), Life in Finland touches on the humourous, the political, the maddening, the strange and so on. He hopes to bring you interesting tidbits on life in Finland. Goleta, California, Finland About Blog Toddler World TV ® offers fun and educational music and videos for infants, babies, toddlers, children and grown-ups - content that should also be useful for non-native English speakers (ESL or EFL). finland About Blog We are a duo of two young Finns. We use the word "free" to hunt for all our leisure and all related activities, such as game management. In 2014, we started shooting hunting trips, Kallen acquires his first action camera. Porvoo, Finland About Blog After doing a research of Paleo and all the recipe sites, Mirka wanted to do something fun with it... Something different. She wanted a page with not just recipes, but with a lifestyle. Dino is still very young, but it’s growing fast and hopefully it will help people on their paths of feeling good. Dinolicious is not just a recipe page, it’s a lifestyle.